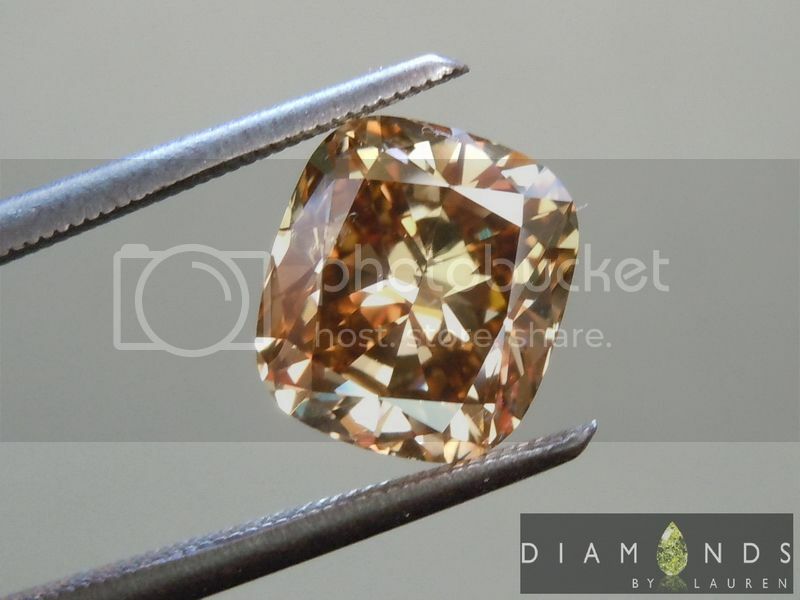 There are so many things I love about brown diamonds. One thing, the color is so complex. 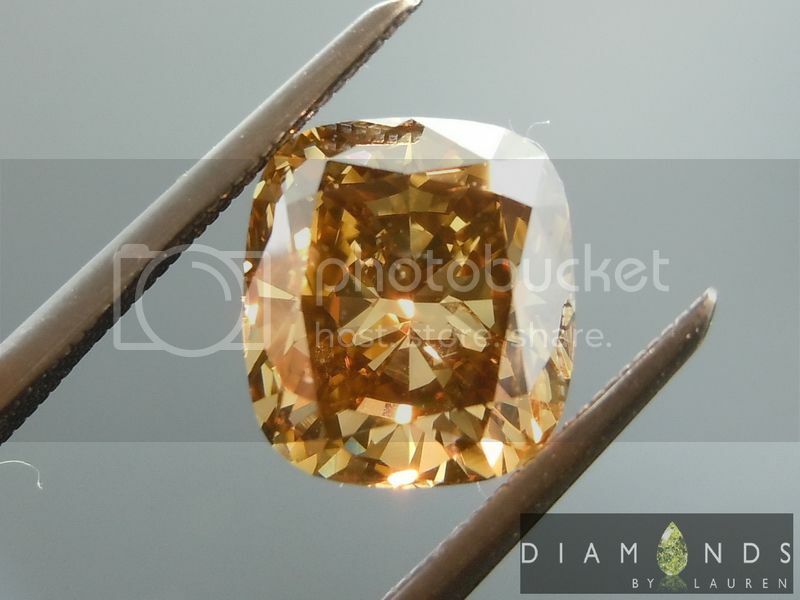 It has been graded Fancy Dark Yellowish Brown, but there are all kinds of oranges and other colors inside. It's quite a visual treat for the eyes. 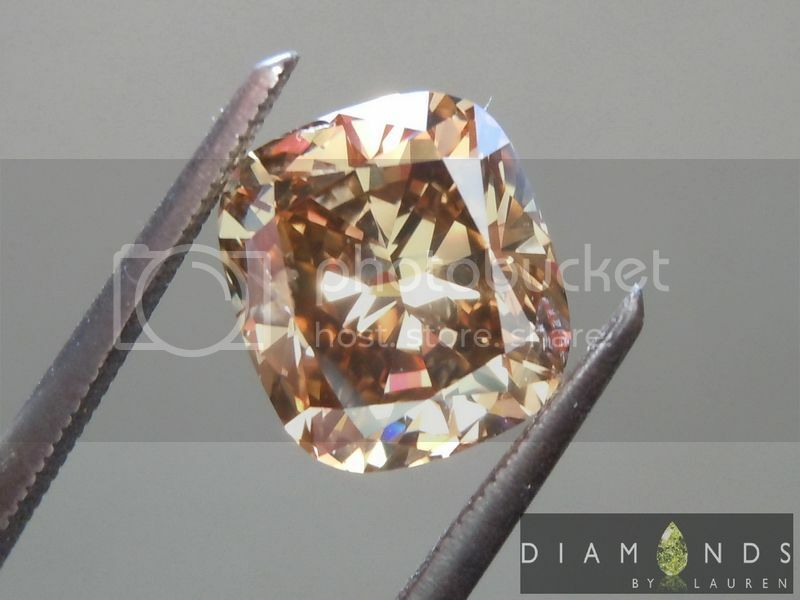 In terms of clarity – GIA graded this stone to be I1 in clarity, but it is totally clean to the naked eye. 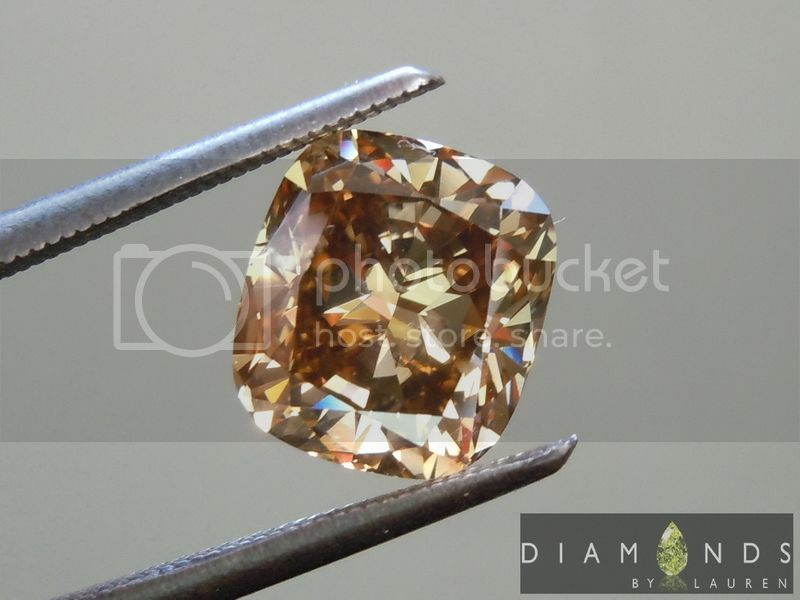 Besides the beautiful color and clarity, the diamond is beautifully cut as well. 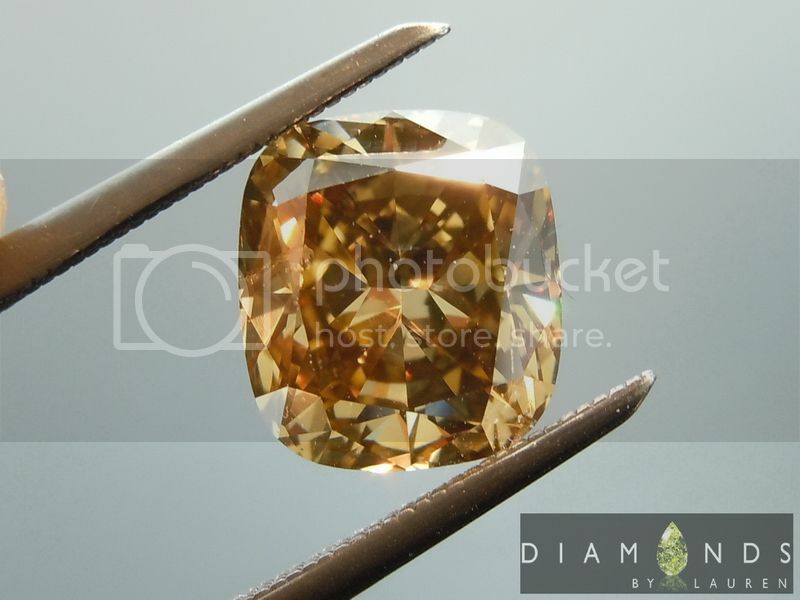 It's got a great shape, and very good size for a 2 carat diamond. 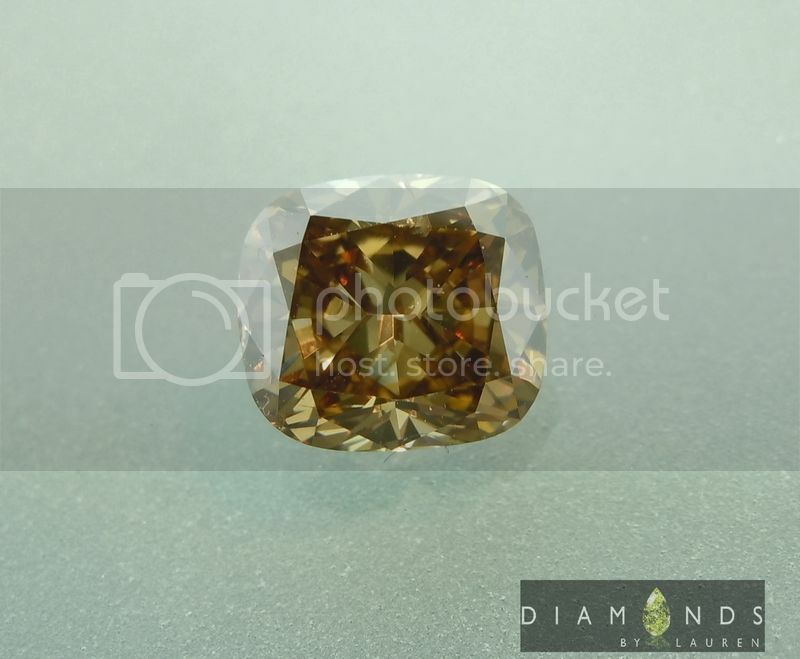 You might think it is a 2.5ct diamond. 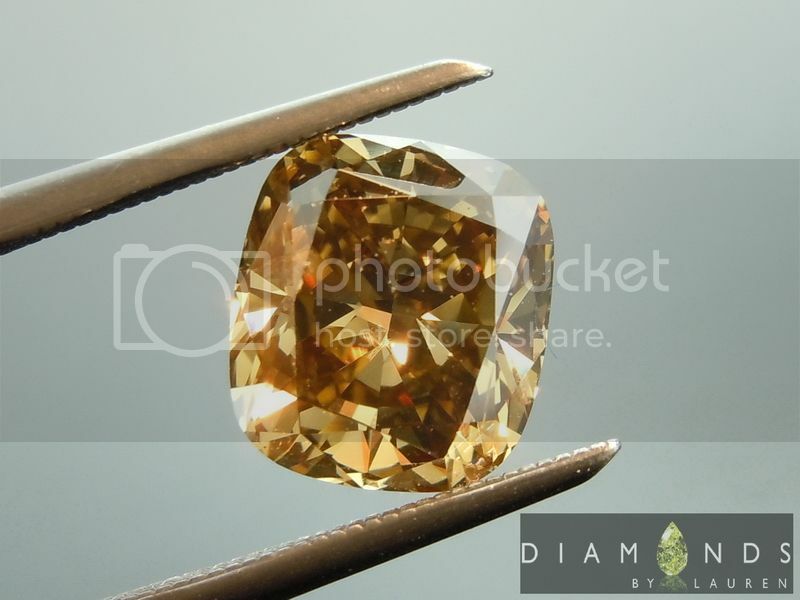 That is unusual for brown diamonds which are usually kind of deep. 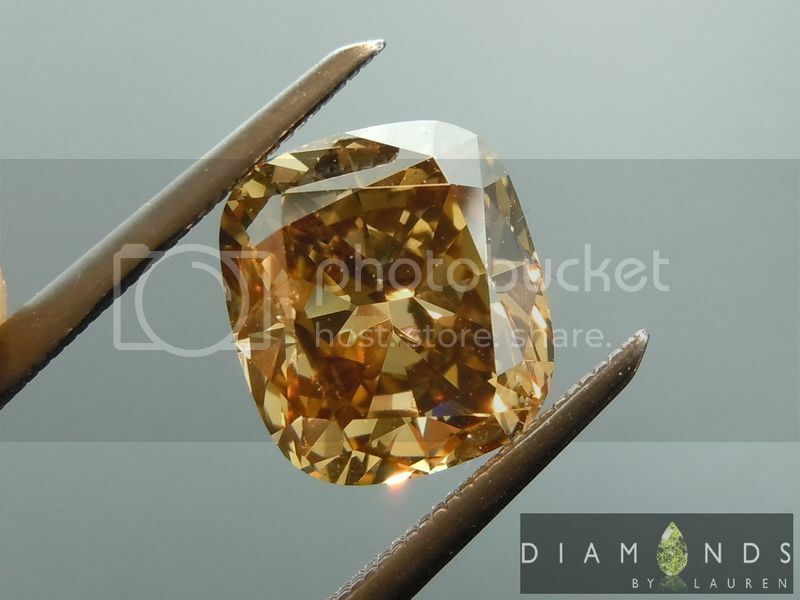 Overall, this is one of the least costly to 2 carat diamonds you will find – and it is certainly one of the better looking ones on the market regardless of price. I so love this style. The look of the ring is distinctive. Our bezel work is flawless. It looks and feels so nice. 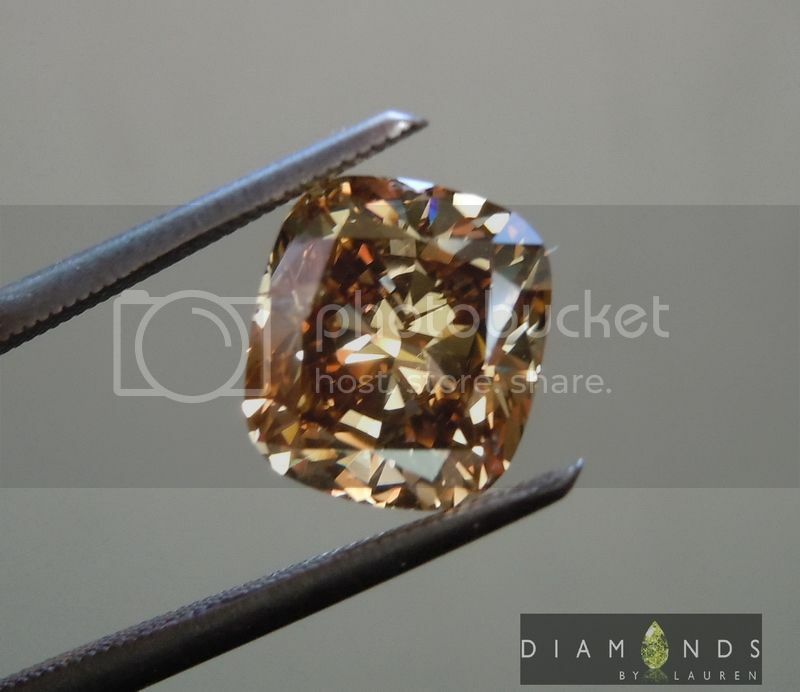 The 2.04ct cushion has really has fund a great home. You can not see any imperfections in it. You CAN see vibrant color and sparkle. The bezel works just perfectly for this stone. The white pavé has a rosy hue. The ring is an impressive size- the halo is about 12.7 x 12.2mm....big. Yet the ring will be very comfortable to wear. If you purchase, you'll be protected by a money back guarantee - we'll make sure you're happy.